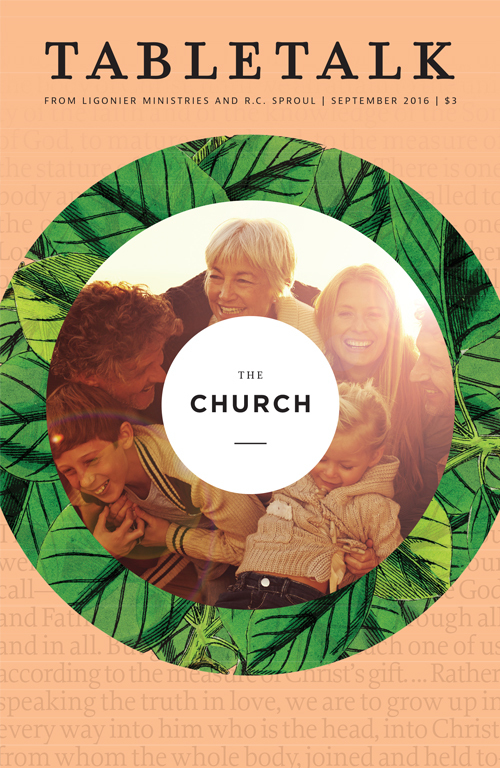 The September issue of Tabletalk looks at the doctrine of the church. Ecclesiology is often neglected by many Christians. Even when the church is discussed, it is framed in traditional or pragmatic terms more than in biblical categories. What is often missed is the relationship between the church and Christ. The doctrine of the church is inseparable from the work of Christ for His people. As a result, Christians cannot afford to discount the Bible’s teaching on the church, because to reject the bride is to dishonor the Groom. This issue draws together pastors and theologians from around the world to help Christians discover the importance of the doctrine of the church by considering how it reflects the beauty and glory of God in Christ. Everyone Is a Churchman by R.C. Sproul Jr. The October issue will consider the vast scope of the Reformation in order to give a greater appreciation not only of its history but also of the need to continue the work of the Reformation today.